The fortunes swung either way throughout. It remained goal less till four minutes before the end of the first half. 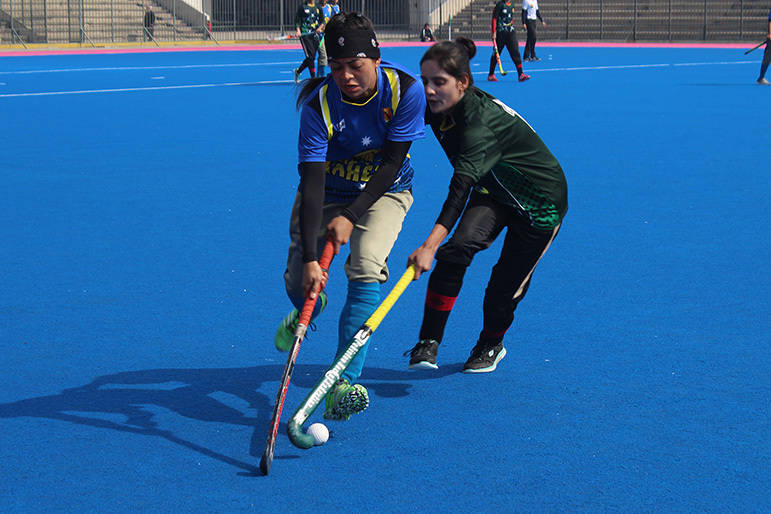 Peshawar’s skipper Zakia Nawaz broke the deadlock in the 26th minute converting a penalty corner. Six minute into the second half, Quetta’s Iqra Hanif equalised through a field goal.However, very next minute, Peshawar restored the lead when celebrated international Maira Sabir scored via a penalty corner. Quetta, last year’s runners up , again restored the parity as their captain Kulsoom Shahzadi made it 2-2 also through a PC. In the 47th minute, Peshawar went ahead the third time when Faiqa Riaz found the target in open play. And the Deers managed to hold on to their lead this time when 60 minutes ended.